No one enjoys losing money, this makes it very important that a few things must be evaluated before you throw your money away by investing in a 'White Elephant'. There are quite a number of factors astute investors put into consideration when looking to make an investment decision. We would discuss a few of these and the roles they play in the decision making process. The level of risk associated with the investment option in question. Even if the business does not do as well as anticipated, what percentage of the capital is likely to be lost and what is guaranteed recoverable? Some people are just terrible when it comes to this evaluation and guess what, they almost always lose money. Some others are pretty good at this, and these individuals rarely lose money. Do not just get carried away by how much is to be made. You must consider the options of the break even point and exit options, as well as exit processes to be employed. You could be worth so much on paper, but a relatively illiquid investment i.e you are worth millions on paper but nothing in the bank and it could be so bad that you may not find it useful even as a collateral for a bank loan. A million dollars of nothing, still leaves you with nothing. Even if you do not make money, the least you should get back should be the initial invested sum. The Relative Risk (RR) associated with the type of investment. "The higher the risk, the greater the returns" is a popular phrase that is often found to be true. It has also been found to be true, that investments with excessive and unreasonable risks often results in massive losses as against the anticipated massive profits. Know your comfortable risk level and stay with investments that fall within those RR levels. There is no point in having sleepless nights over an investment that is supposed to add value to your cash flow and bottom line, while it is simultaneously decreasing your health status via psychological and physiological stresses. Part of mitigating risk is to take an evaluation of the worst possible outcome and/or consequences resulting from the investment going south and the effect it would have on you. As is said in high risk investment parlance; "do not invest what you cannot lose". Different investments have different risks that pertain both to the nature of the investment as well as the industry or sector of the economy where it is domiciled. For example, the risks associated with investments in financial instruments differ from those of real estate. Financial instruments are divided to cash instruments & derivative instruments. These include: Bonds (both corporate and government), Treasury Bills/ commercial paper. Capital market popular instruments like equity and/or stock. Stock options and Spot traded derivatives, etc. All investments have a gestation period. This is how long it takes from when money is placed to when money can be be received. How long would it take to turn a profit, earn a dividend, make real money that can be drawn on and received? This is in the view that it all goes according to plan having considered all reasonable and the unreasonable outcomes. This consideration is particularly important in evaluating the suitability of the investment to your investment strategy. If you are interested in a short term investment, you should not be putting your money in a programme that has a gestation period of five years. You must ensure that the gestation period suits you and your overall financial strategy. Opportunities for Growth and Appreciation. Is the industry evolving with good room for growth and is your company of interest involved in exploring new frontiers within the industry. This pertains to a mid to long term investment and not short term except if having seen the opportunity you decide to hold on longer. I'm sure you know that sales volume and profits have a directly proportional relationship. The effect of competition can greatly impact on the dynamics of the life cycle as they introduce new elements to the parameters and hence the outcome. 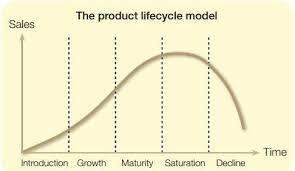 Between the maturity and decline phases is a plateau where input in terms of marketing and promotions does not improve sales or market share as experienced earlier. At the decline phase organisations and businesses have to introduce new extensions to the product and or service, as well as repackage and reintroduce the 'new improved version' to steam the decline and give some growth as well as a new lease of life. You you put your money in while the organisation has not reached the maturity phase you would be getting equity at a discount but if it is at the maturity or decline phase it could very well be over priced. Investors that are interested in growth put their money in potential and not matured stalled enterprises. Ever heard of venture capitalists and how profitable the are? Well now you have an idea of how they do what they do! What are the would be cash flow sources of the investment? How would contact be made with these sources? Is the cost of initiating and developing these sources justifiable in consideration with the revenue stream anticipated? Is the revenue anticipated reasonable or overtly bloated to get you interested? If it looks too good to be true, it just might be that; 'too good to be true'! If the revenue stream is shrouded in unclear terms or vague complex not easy to be understood processes, believe me you would not understand how your money was lost when it is explained away to you. If it is legal, you would understand how, why and what customers and clients would be paying for being a product or service. The streams of income for the enterprise must be clearly stated and simple to understand. If it is not, you do not want to put your money in it. Avoid getting scammed. You should also be able to evaluate or get an independent firm or persons to evaluate the interest for you. Most organisations seeking investors are more interested in getting your money than in being in covering your bases. Hence they might conceal the true state of affairs under several guises. Do not be naive, it is your money they want and they are not in love with your person. Debt could be disguised or outrightly hidden under unclear terminology! Look through the books going over a few years, paying attention to both credits and debits gives you a clear picture of income and expenditure. Talk to both suppliers, customers and clients to have a feel of the perception of the partners of the business, its model and the terms, they can let you in on some behind the scenes happenings around the business. Be sure and comfortable with the evaluation of a business before you put your money in. Do not invest if it is grossly and unreasonably valued. I know putting a price on good will is difficult but make sure you are getting value and reasonable equity for your would be placed funds. What are the processes and legality backing your placement of funds in the business? If the legality is not clearly defined, you may find yourself holding the short end of the stick. There must be legal documentation backing your investment, if there would be none,. DO NOT PUT YOUR MONEY THERE, even if it is a family business! Right of first refusal should a fellow investor decide to divest his interest in the business, rather than have a third party offered the interest that it should rather firstly, have been offered to the current investors wanting to increase their stake should they so desire, failure of which it may be offered to new investors. Make sure you understand the terms binding in all ramifications, do not assume. Consult your lawyer and financial advisers, they are professionals that have a better understanding in some areas that you do not and can spot loop holes that may be capable of sinking you later. Do not go through it alone, seek assistance and get it. It is imperative, from the start to also know how to get out when you want out. The processes to be employed in valuation and cashing out. Likely stress or management meetings and input at different levels. The time effort and cost required to acquire the knowledge that is needed to better understand the dynamics around the investment. What is the level of involvement required besides monetary? What would you have to give up or defer to be able to make the investment and ensure that it is not lost. This is considered in direct relations to the plans of the individuals and the reasons for wanting to invest in the first place. This has to do with alignment with your Short, Mid or Long term investment plan and strategy. This defers from the gestation period in that the gestation period has to do with how long it would take to get the returns to start coming in. While this has to do with the anticipated life time of the investment; is it likely to continue to yield after 10 years, 20 years etc. This is in consideration with the investors age and overall investment strategy. If juxtaposed against strategy, would it be worth it? Are you investing for your children and grandchildren to reap the benefits? This list of considerations is not exhaustive and then the type of investment also throws a mix into the things that should be evaluated. I hope you find some useful information here. Do not throw good money into a bad investment, learn to evaluate, cut your loses and move on, it might be the smart thing to do rather than continuously hoping for the better, while scaling up the investment amount. i have upvoted to support the community. Fantastic concept, Good thinking. Really like the detail in your post, and I agree on the relative risk statement, be prepared to loose it (financially and mentally in the instance that it could happen). Yep. Win some, loss some but essentially win way more than you lose and always evaluate and not gamble away hoping it turns out alright. One could and would lose his shirt. Very true if you don't invest and take that risk you'll always loose!